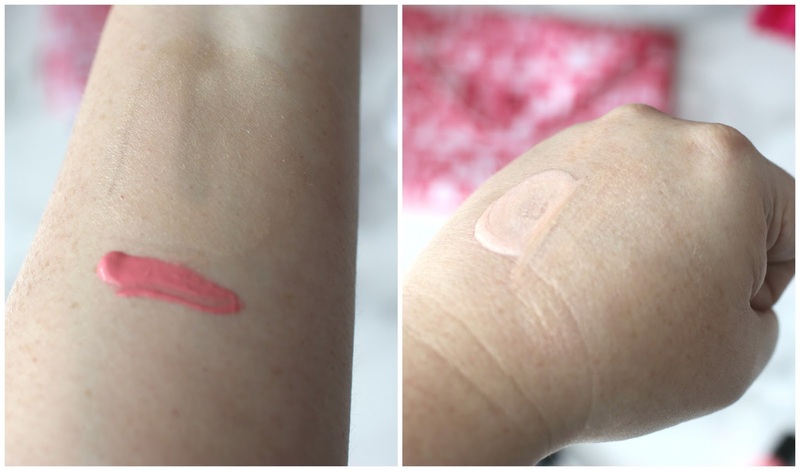 thorough review of products I love. First up, May Ipsy bag! I have been an IPSY subscriber since bag 1, but this past year I quit posting about them, since the bags weren't that exciting. Em Cosmetics Makeup Mood Enhancer Illuminating Skin Filter in Golden Candelight--I'll be honest, not sure if I used points to get this or if it was sent to me (usually there are 5 items). You add this to foundation for a very sparkly glow. It is flammable, due to the alcohol, which I can smell, so I probably won't keep this. GLAMGLOW YOUTHMUD TINGLEXFOLIATE TREATMENT--Everyone knows about this right? Always nice to have another one of these. Oily skin will love this mask. Smashbox X-Rated Mascara-- This triple threat brush isolates and magnifies each lash, while applying its fiber-loaded formula. The result? Sky-high and defined lashes in just one swipe. Bonus: the formula is clump, flake and smudge-proof! I already have this and really like it, so it's nice to have a mini one. Vasanti Brighten Up! Exfoliating Cleanser--This cleanser promises instant professional microdermabrasion results that reduce fine lines, wrinkles and scars, but I've not seen that yet! Overall, a fun bag of goodies! Stop by tomorrow for another review of some new products! Great bag this month! That mascara sounds amazing and I love that gloss color! eye smudger brushes are always good to have. and i'll have to try the glamglow - i keep meaning to! I just signed up for Ipsy - I cant wait for my first bag! That mask sounds right up my alley! It's great that this month's was better for you! I got my first Ipsy bag this month and thought about posting about it, but haven't yet. I liked what I got, although what I got was different--I wish I would have gotten that lip gloss, it looks pretty! I need that mascara for sure! Thanks for the review! I love that gloss and the mascara. Nice review...and the bag is so cool. Thank you for the comment on my post. Keep in touch. The bag is so cute this month. And every post or video I saw for this one looked so good! Makes me want to subscribe again! That lip gloss color is pretty. I have got to get on the glam glow train. That mask sounds fabulous. That lip gloss color is so pretty! 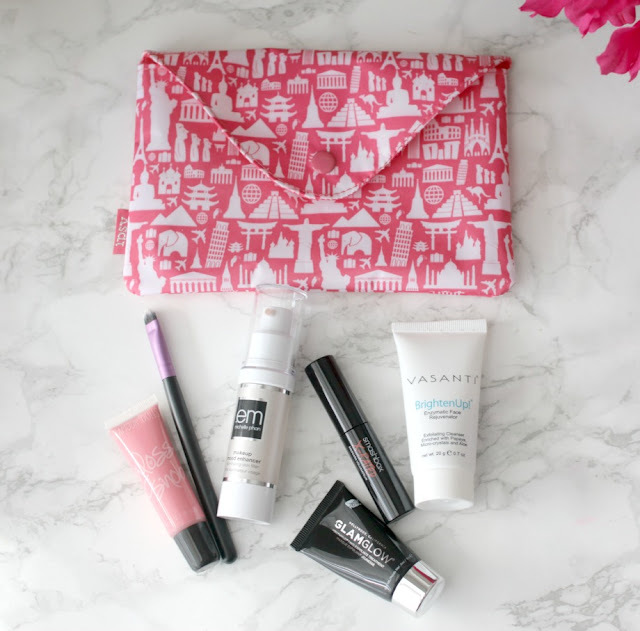 You really did get a lot of great products in this month's IPSY Bag! Fun items this month! Love the lip color! I have heard good things about the Smashbox mascara. I tried hair extensions for the first time and did a post about it. Have you ever ventured into that territory? this is a good bag! I love that GlamGlow mask! This is actually a pretty good bag this month! Review week sounds fun and a good idea for blog posts while on vacation! I wonder how you did land up with a 6th item?! Awesome! I know sometimes if someone signs up under you, you'll get a free item instead of 250 pts... they run that deal sometimes and I'm not sure if thats what happened in this case. The only item we got that is the same is the mascara and it IS awesome! All of your other items sound great, too! I would love to try that GlamGlow mask! GlamGlow in a subscription service is awesome. I love the SuperMud mask. I'm always down for a new mascara to dry. My mascara drawer is overflowing, but I can't help myself. I need to try ALL of them. I've gotten the Vasanti exfoliator in subscription services before and it's really good. I don't know that it does what it claims, but it's a good exfoliator nonetheless. I'm loving your snaps and closing my eyes and pretending I'm there. I love the bag, it's so cute and pretty! I wish we had subscription bags here, I see them everywhere and I would like to try one.